When it comes to picking a present for Dad, you really can’t go wrong with beer. 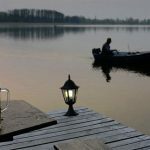 Whether he’s in the mood for a crisp lager after a long day at work, or a dark ale to pair with a hearty dinner, GAYOT’s Best Father’s Day Beers include a wide variety of options for discerning dads. Speaking of brews, beer enthusiasts will also enjoy our Complete Guide to the Best Beers. Perfect for boat rides, baseball games and backyard barbecues, Bell’s Lager Beer is a no-frills, easy-drinking brew. Crafted with Pils and Munich malts in the style of Bohemian pilsners, the lager is matured in fermentation vessels for six weeks. Aromas of citrus fruit and sweet malt mingle with notes of floral, grassy hops. The palate starts off slightly bitter before transitioning to smooth malty flavors with notes of sweet corn. A subtly spicy finish is rounded out with the bite of bitter hops. The brew’s light and crisp body makes it a great thirst-quencher for any summer day. While the majority of barrel-aged beers are made in darker styles such as stout, this honey-colored pale ale breaks free from the norm. Brewed with malted barley, corn, and rye – the same key ingredients used to make classic American bourbon – it’s aged for over a year in Woodford Reserve, Woodford Reserve Double Oaked and Old Forester bourbon barrels. The lighter beer style allows the flavors of the spirits that formerly sat in the oak to be more pronounced, and the rye addition contributes to a slight spicy finish. You should also be able to detect flavors of caramel, honey and dried fruit, just as you would while sipping a fine bourbon. At 10% ABV, this special beer will cellar well, so if you can resist popping the cap, store a bottle or two in a dark, cool place and after a year or two you’ll be rewarded with evolving flavors. 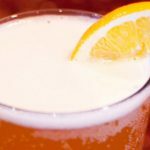 Price: $6.50 for 22 oz. Brewed by: Garage Brewing Co.
Two things many dads enjoy are beer and coffee, and this brew offers a bit of both. Made with fair-trade roasted beans from Mostra Coffee, a San Diego artisan micro-roasting company, cold brew coffee and beans are added to the beer post-fermentation. Dad will love the combination of dark roasted barley malts with the flavor of rich coffee. And if he likes cream and sugar in his coffee, the addition of lactose helps to add sweetness and smooth out the roasty profile. While it likely won’t replace Dad’s morning cup of joe, it may turn out to be his choice for dessert. Price: $14 for 12-pack 12 oz. Characterized by the spicy citrus profile of Cascade hops, Goose Island 312 Urban Wheat Ale offers a pleasant blend of fruit and wheat. Scents of tart lemon and biscuit malt create a balanced and clean aroma. The ale’s smooth body is complemented by flavors of honey, lemon peel and bready sweetness, which resolve in a palate-cleansing finish. Pair this fruity ale with a light and spicy dish for the ideal summer meal. Get a taste of Hawaii with this distinctly island-style porter. 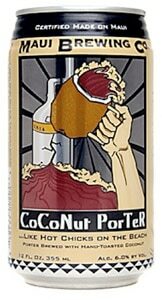 Maui Brewing Co. Coconut Porter is the first beer made with hand-toasted Hawaiian coconut along with six varieties of malted barley and hops. This robust porter boasts initial aromas of roasted malt, nutmeg and kola nut, with background notes of vanilla and coconut. Flavors of roasted coffee, caramel malt and chocolate pervade the silky, full-bodied brew. Notes of burnt coconut linger on the palate before resolving in a hoppy, spicy finish. Pair this porter with coconut-infused foods for the ultimate slice of tropical paradise. With a name like Messiah, this offering from Schmaltz Brewing Company has some big expectations to live up to. And live up to them, Messiah Nut Brown Ale does. With its dark burgundy hue and intense aromas of caramel, toasted bread, chocolate and coffee, this beer is rich, robust and everything you would expect a brown ale to be. The palate, however, tells a slightly different story. After an unexpected blast of earthy hops, flavors of toffee and toasted nut interact pleasantly with malt and bread notes. Hops are the underrated star of Messiah Nut Brown Ale, transforming an otherwise sweet and heavy brown ale into a balanced and light-bodied brew. Price: $8 for four-pack 12 oz. New Belgium Transatlantique Kriek is the name and cherry is its game. A collaboration with Oud Beersel, this international offering combines the 130-year-old Belgian brewery’s wood-aged cherry lambic with New Belgium’s own Felix, a sour golden lager, to create a delightfully fruity brew. Strong on the nose and light on the palate, this beer will appeal to those who want a fruit beer without the acute sweetness. On the nose, cherry aromas blend with a hint of earthy spice. Bright and tart cherry notes continue on the palate, balanced by the malt flavor of the golden lager. The result is a crisp and juicy lambic that ends with a clean, dry finish. The refreshing and crisp North Coast Scrimshaw Pilsner is perfect for a warm summer day. Brewed according to European tradition with Munich malt and a blend of Hallertauer and Tettnang hops, this honey-golden pilsner opens with floral and citrus scents and a strong aroma of hops. On the palate, light flavors of pale malt mingle with hints of sweet honey. This light and lively brew ends with a dry finish that will leave you wanting more. Price: $9 for four-pack 11.2 oz. There’s a reason why O’Hara’s Irish Stout is touted as Carlow Brewing Company’s signature beer. This award-winning stout is brewed with highly roasted malt, hence its dark and creamy complexion. It offers aromas of coffee bean and cocoa powder, with an underlying current of roasted malt and floral hops. The notes of coffee, chocolate, malt and hops continue on the palate, adding to a robust body with a clean mouthfeel and a pleasantly light and dry finish. There’s no such thing as subtle when it comes to the Rogue Cold Brew IPA. Stumptown Coffee Roasters’ double-filtered, 12-hour cold brew and Rogue’s farm-grown hops come together for a bold and brazen alliance in this flavor-packed IPA. The roasted, nutty aroma of coffee engulfs the nose with a hint of earthy hops. Floral and citrus notes pair nicely with the cold brew flavor profile on the palate. Though the combination of beer and coffee is no longer revolutionary at this point, Rogue Cold Brew IPA proves that this type of ale can still impress. Dubbed by some as the forefather of American craft beer, Sierra Nevada Pale Ale remains as popular as ever today. The brand’s iconic pale ale started in the 1980’s as a homebrew made with Cascade hops, which add intense citrus and pine aromas. The use of such hops was rare at the time and helped pave the way for hoppier American pale ales. Sierra Nevada Pale Ale offers aromatic floral and spice notes followed by a clean and crisp finish, making it a favorite of beer drinkers around the world.